Parties are held only on Saturdays and Sundays during the school year and Saturdays during the summer. There are specific times to choose from. 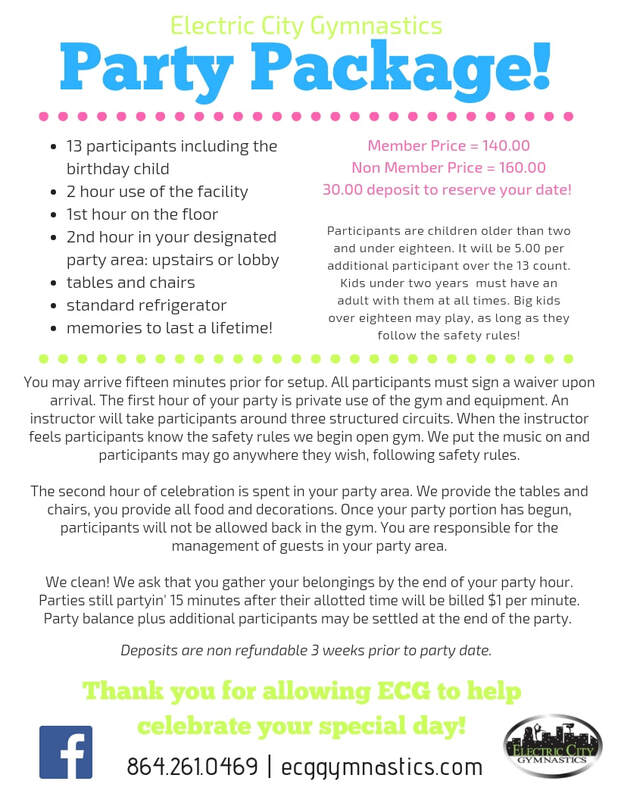 The 30.00 Deposit is required to reserve your party. Please call our office at 864-261-0469 for availability and reservations.